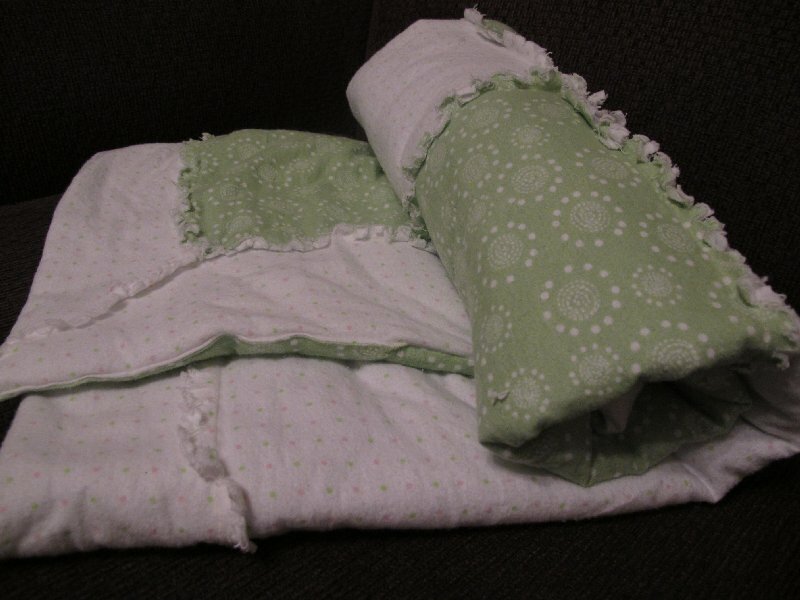 This is the first, and probably the last, rag quilt I will ever make. I saw a really cute tutorial for one but later couldn't find it, so I had to wing it. Luckily, this was pretty easy. I am not a big quilter because I have no patience whatsoever, so this will have to do. 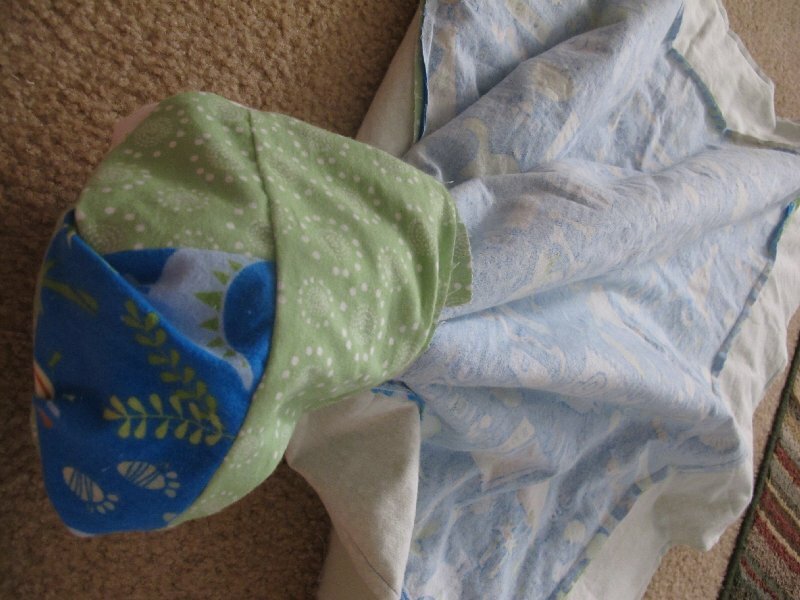 So, here are 15 easy steps toward making your very own rag quilt! 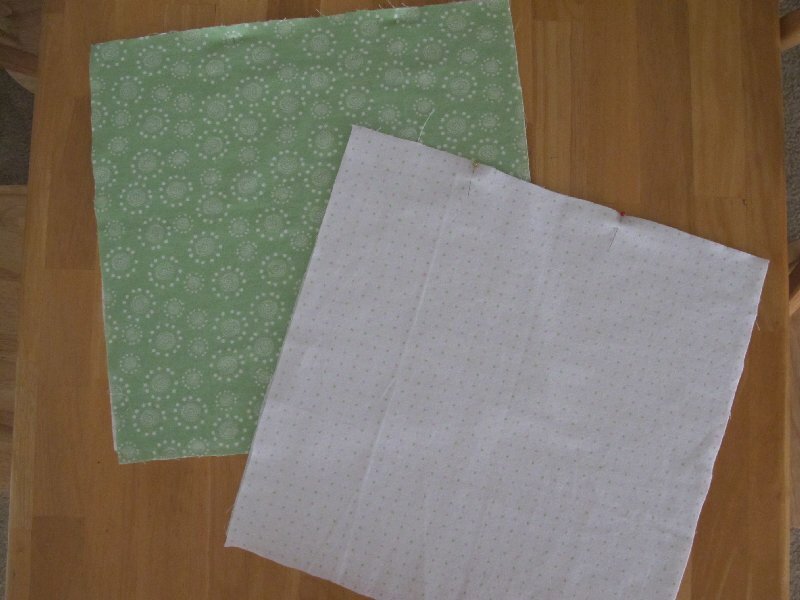 First, you will need to cut 4 squares of fabric (you can do as many squares as you want, but for this tutorial we'll stick with 4). 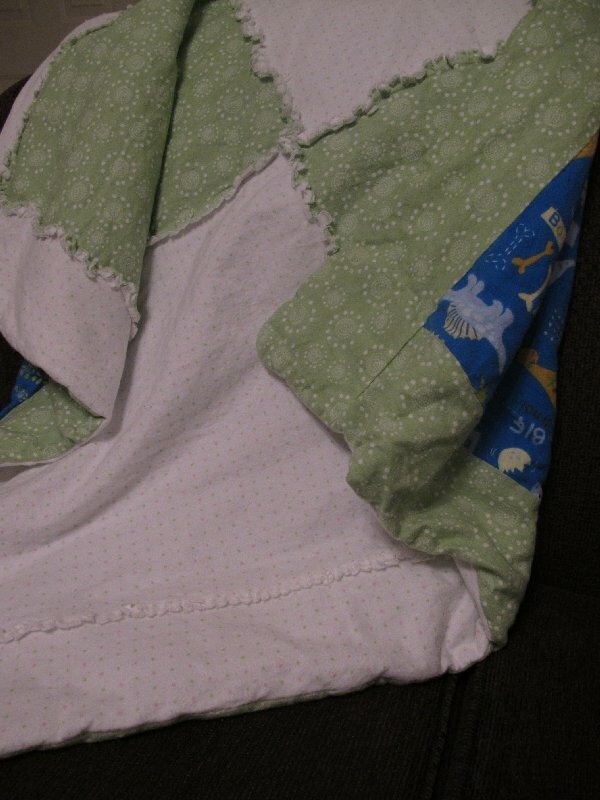 I used a soft light weight fleece material. 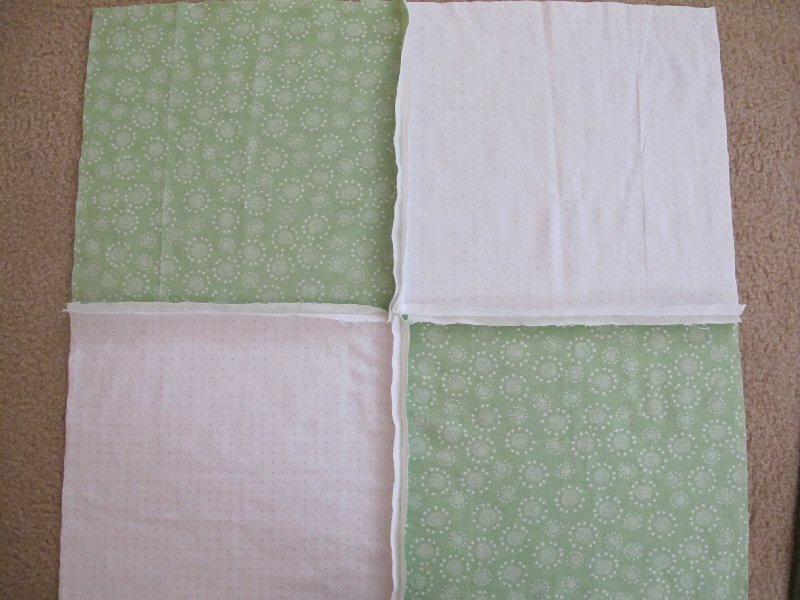 My squares were 16" x 16". 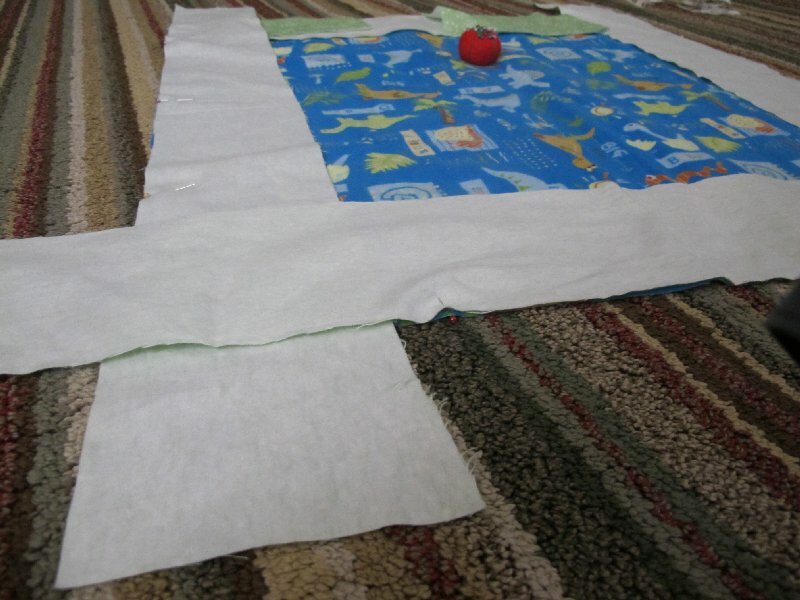 Second, you will pin 2 squares together. I used two different colors of fabric. 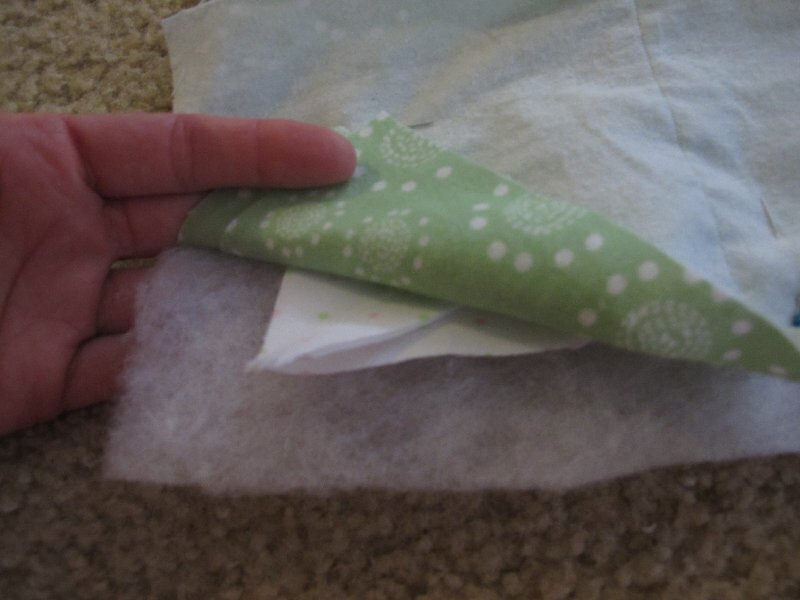 You will need to pin the fabric with the opposite color. 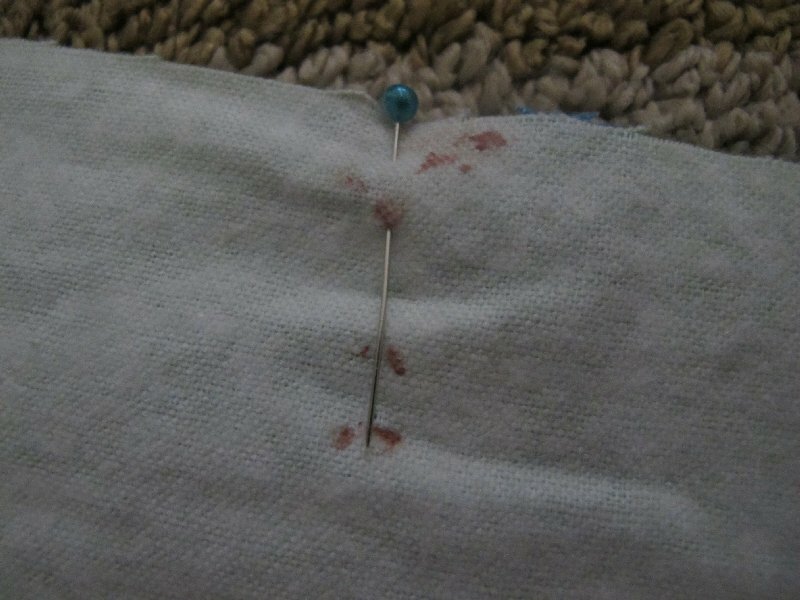 Now, pin with WRONG sides together. 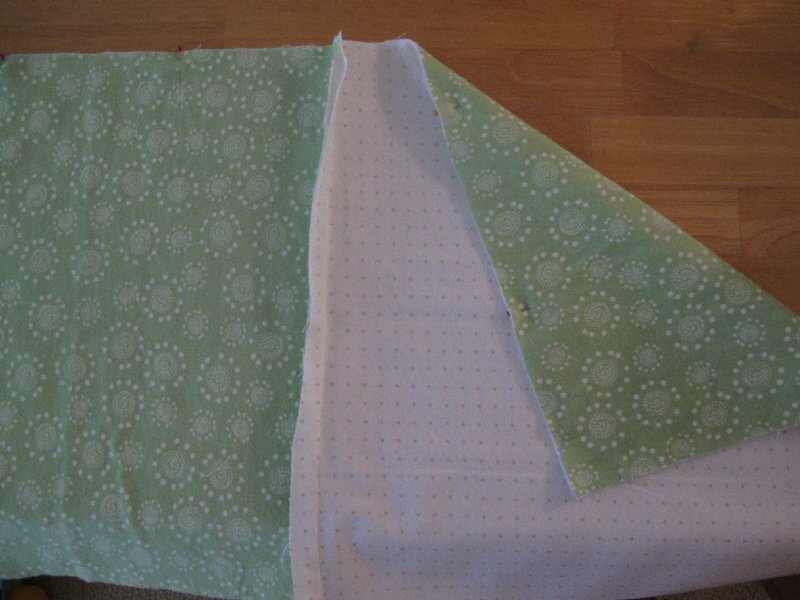 Third, with each pinned piece, sew down the pinned side using a 5/8" seam. 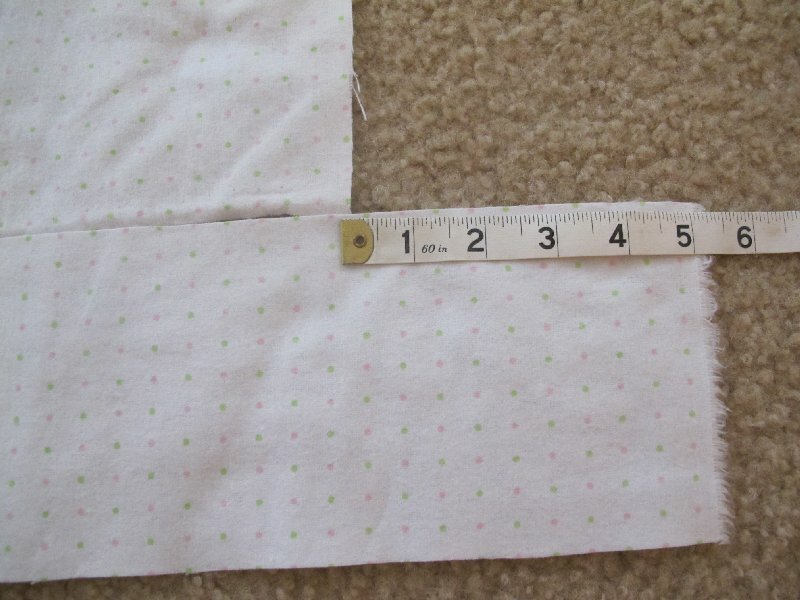 Fourth, you should now have two pieces of fabric, each with a seam down the middle. Open these pieces up and pin them together on the long side. WRONG sides together! 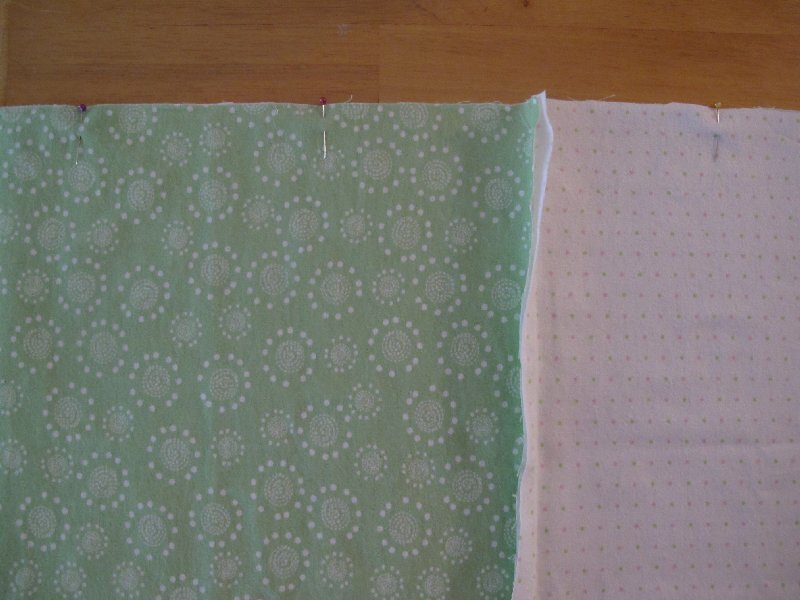 Fifth, you will sew down this long, pinned edge with a 5/8" seam. 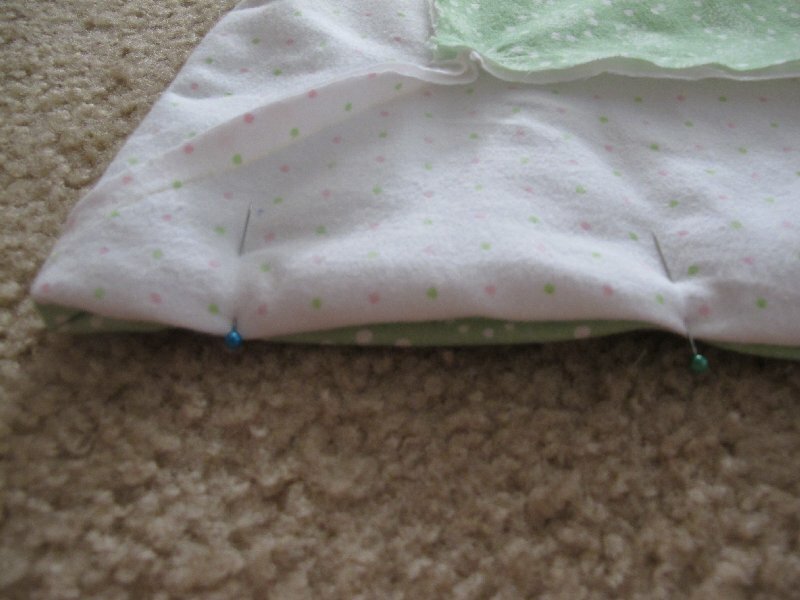 There should be raised edges along all the seams. 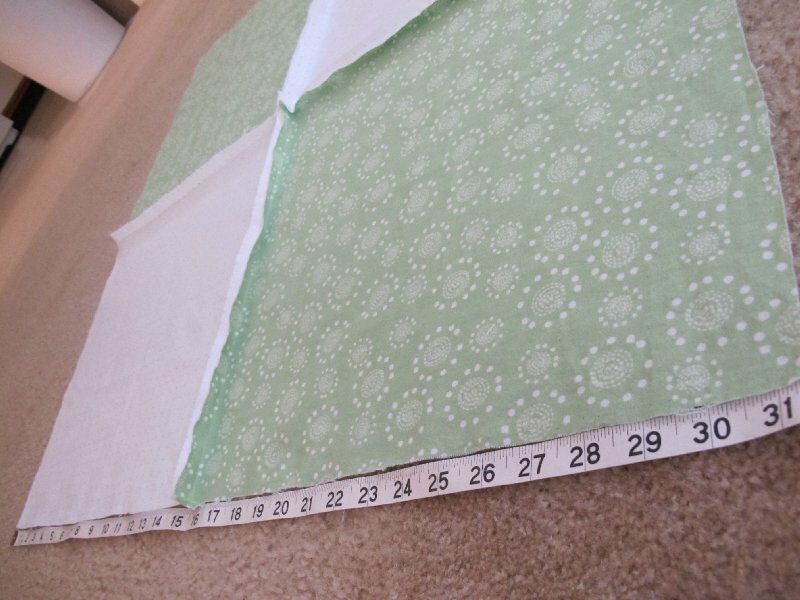 Sixth, to make the outside border, you will need to measure what you have so far. My border measured 5" longer on EACH side and was 5" wide. 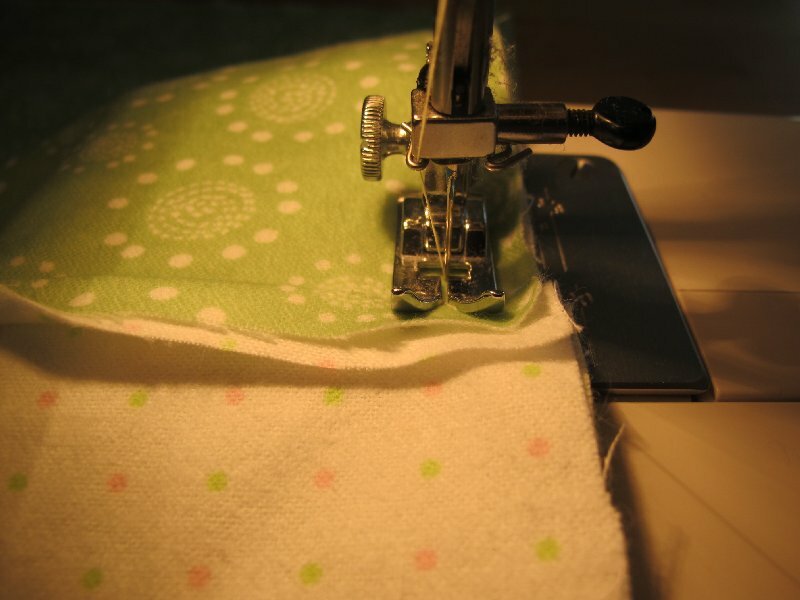 Eighth, it is time to work on the back side of the quilt! 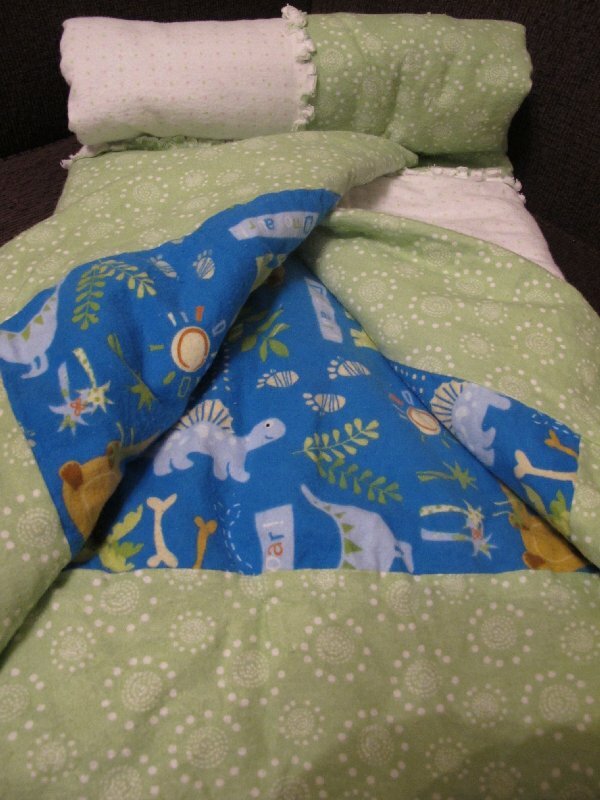 I already had a square of dinosaur fabric laying around. It fit perfectly with the center square on the front side. To make it fit the entire front side, I had to add a border to the back as well. 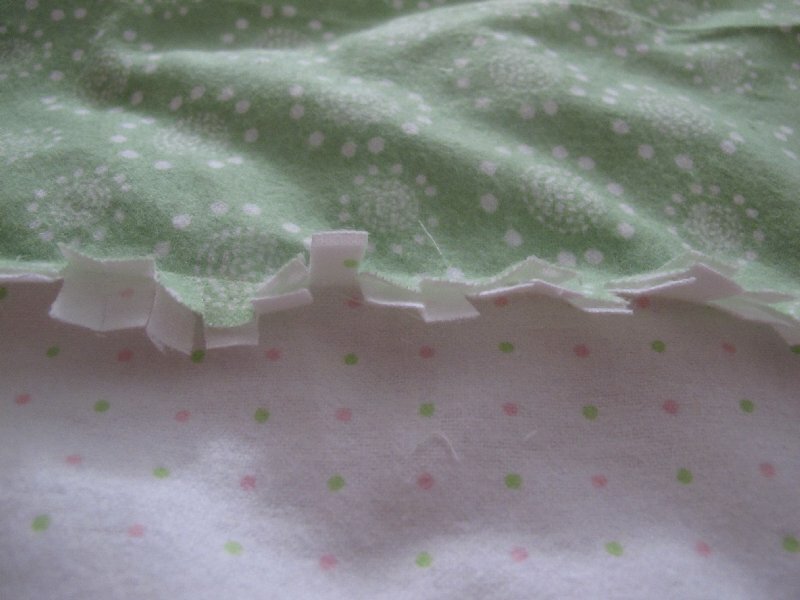 I didn't want frayed edges on the back, so I sewed the border on with RIGHT sides together. Ninth, now back to the front side. 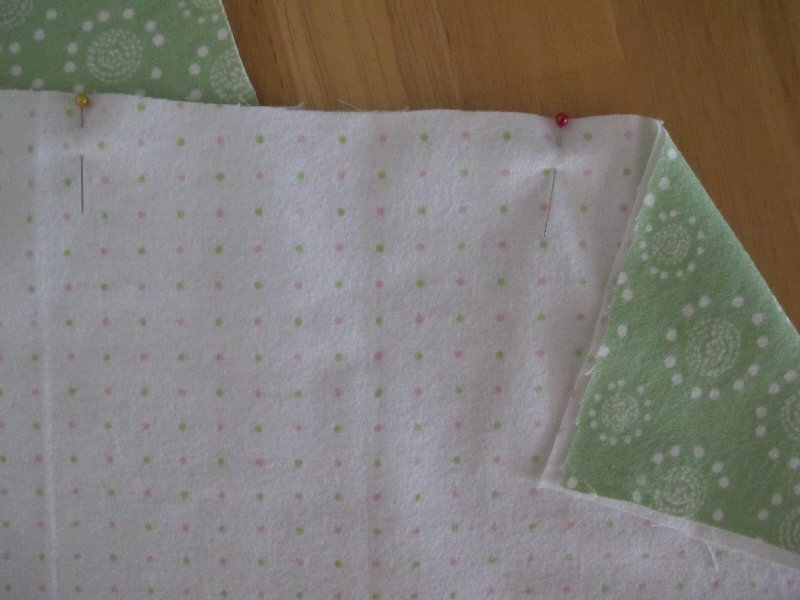 After sewing on the border, I ended up with overlapping pieces at the corners. There are many ways to solve this problem. 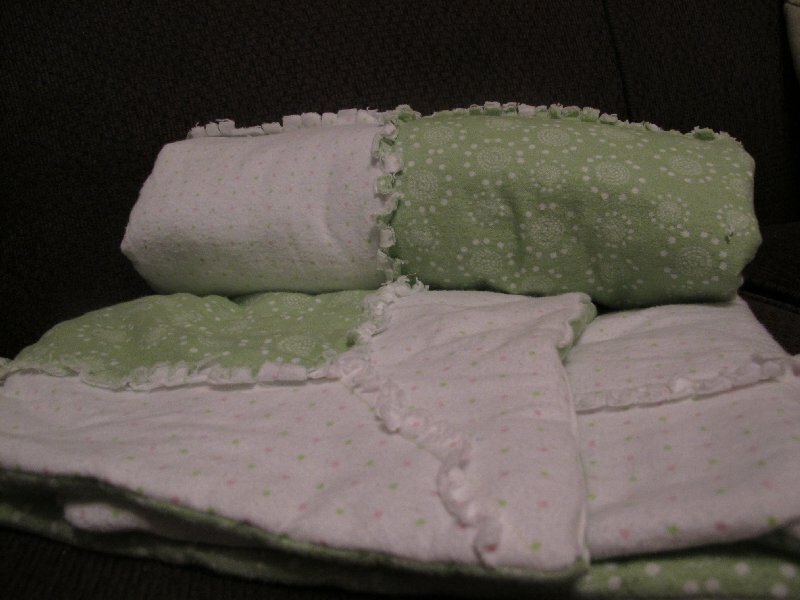 I decided to pull them upward and sew them diagonally. 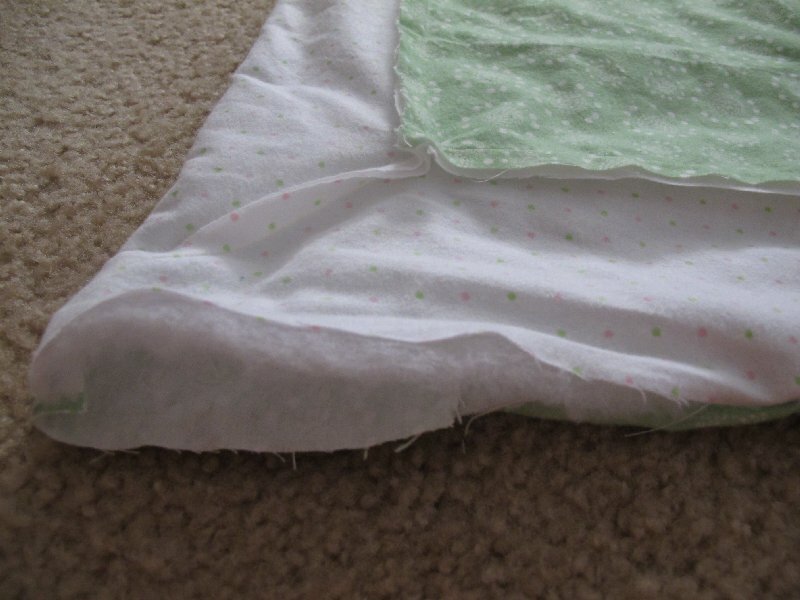 This created a perfect corner, and allowed for some more fraying. Tenth, Now you need to lay you back and front piece together, with RIGHT sides facing in. You can also choose to add some batting at this point. 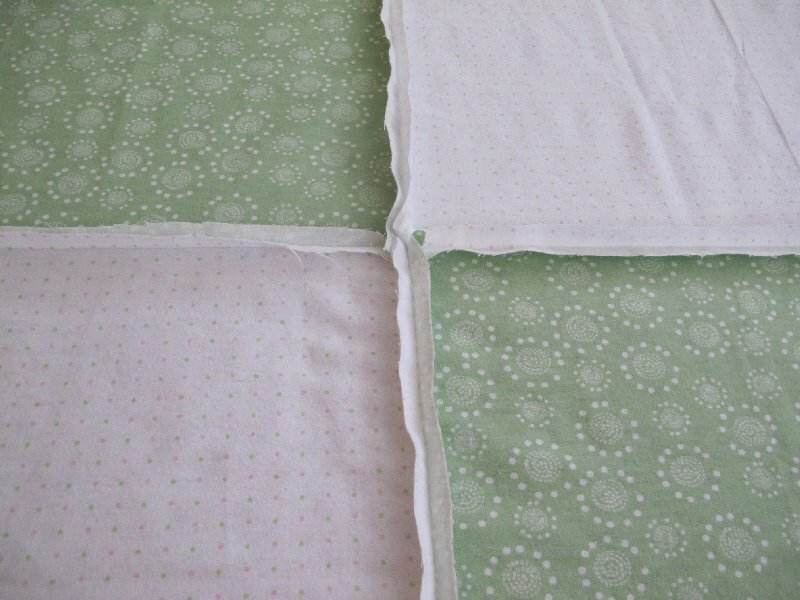 Eleventh, pin and sew around all 4 sides of the quilt. However, you need to leave a small opening at one end. 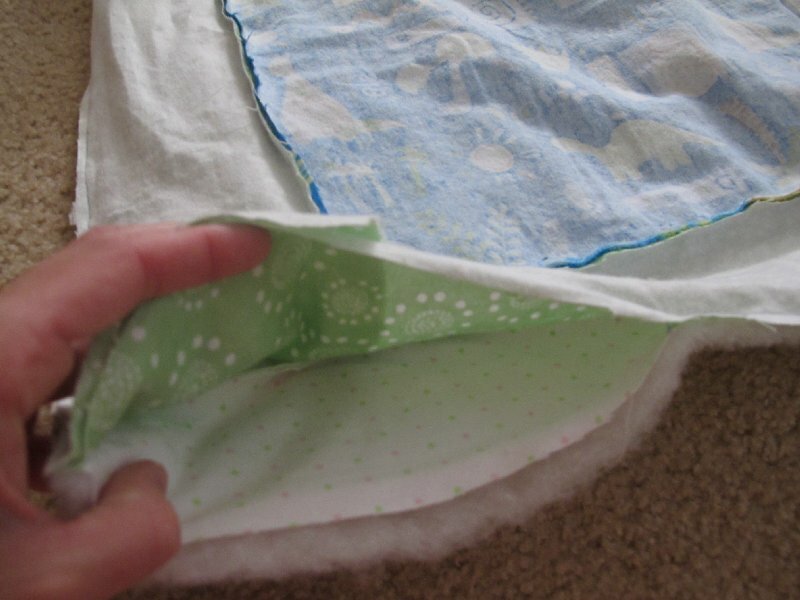 Twelfth, pull the blanket through the small opening so that right sides are facing out. Thirteenth, you now need to fold the raw edges in and sew up your opening. 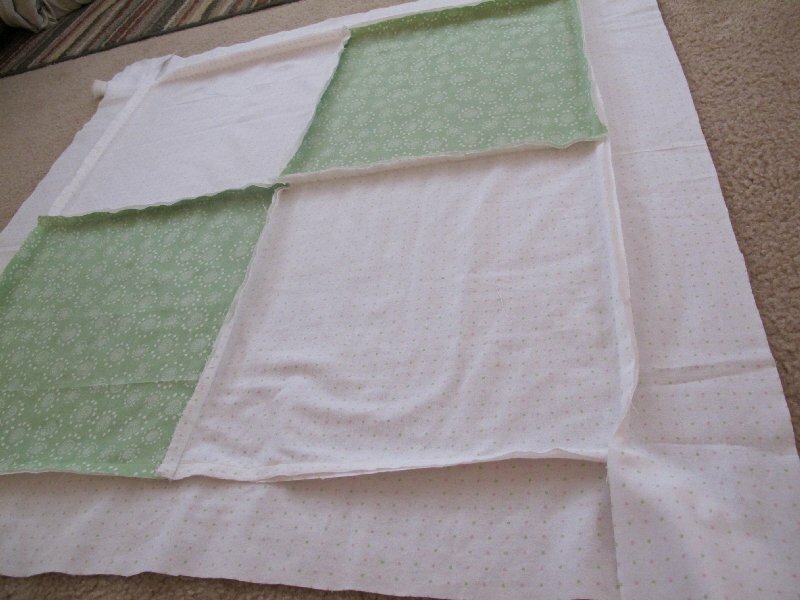 Fourteenth, remember all of those raised seams on the front side of the quilt? 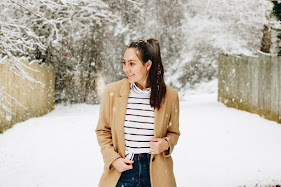 Now is the time to get out your scissors! This was my least favorite part of the whole rag quilt experience. 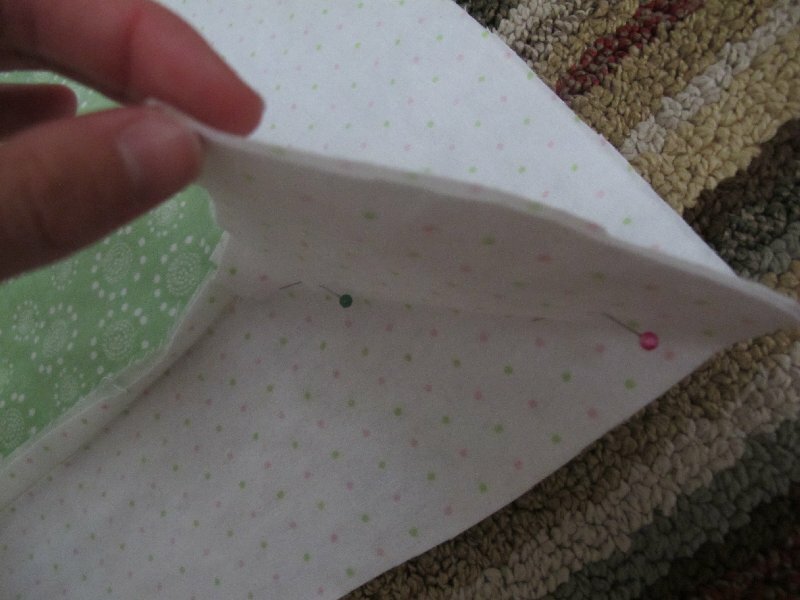 You need to cut slits all the way down each seam. Warning: you might get a blister from using the scissors, I certainly did! Fifteenth, WASH AND DRY! 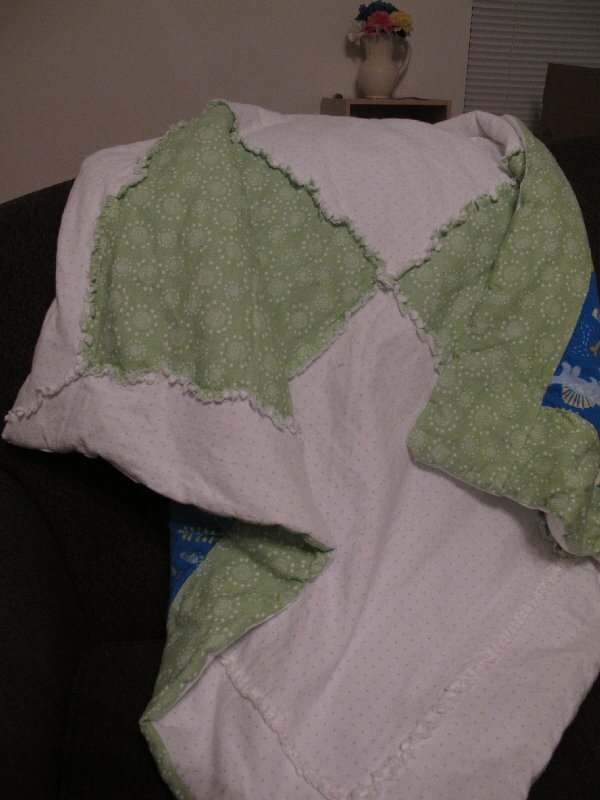 All you have to do to complete the rag quilt look is to throw the blanket into the washer and dryer! I am not the best sewer in the world, but I think it turned out pretty cute.